just-iced cookies: Hey batter batter! Baseball/softball/t-ball season is officially in "Full Swing"! Wouldn't these be fun for a birthday or end-of-season party as favors? 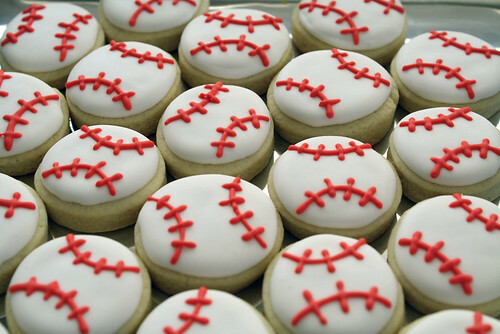 At 1.5", these mini baseball sugar cookies are the perfect size to pop in your mouth between innings, in the bleachers, or after the game!